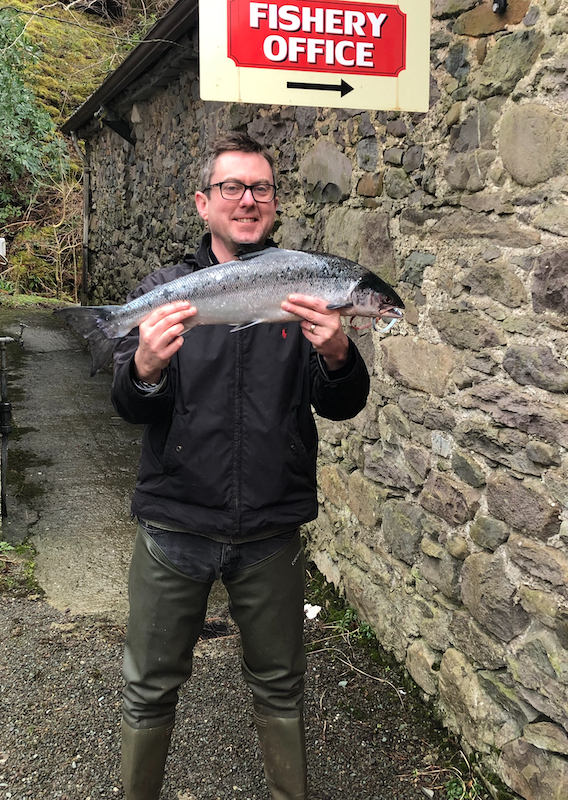 Another one who braved the elements of early season salmon fishing was Ciaran Conroy and he was duly rewarded with his first ever salmon. Ciaran was here for the weekend and started fishing on Friday, in what can only be described as horrendous conditions, with very high water and strong gale force winds. 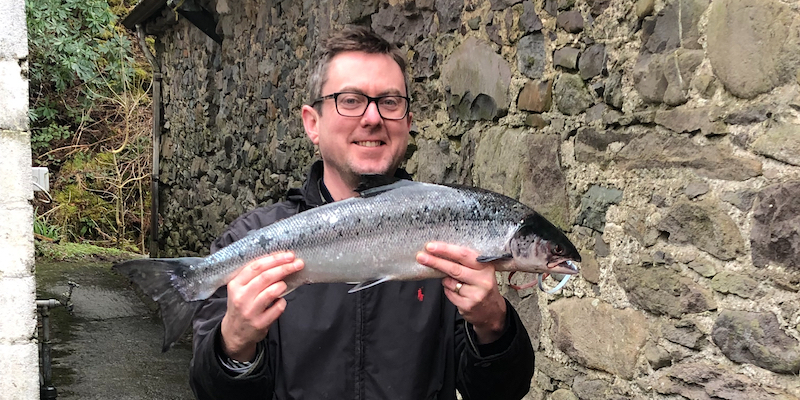 On Saturday he had a refresher course in spring salmon fishing with our resident instructor Robert Gillespie, which proved to be invaluable as lost a fish on Saturday after having it on for about a minute. Then yesterday morning he managed to hook and land a lovely sea liced 7lbs2ozs in the Holly Pool, without any assistance whatsoever. The fish took a Willie Gunn tied on a copper tube, fished on a sinking tip. Conditions at the time were good with the water running at 60, with nice sunny spells intermingled with the odd wintry shower. 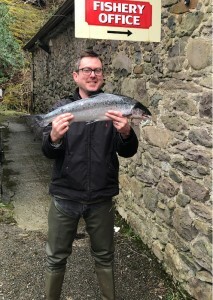 It goes without saying that Ciaran was delighted; not only landing his first ever salmon but doing it all on his own. Well done Ciaran and congratulations from all here at Delphi.